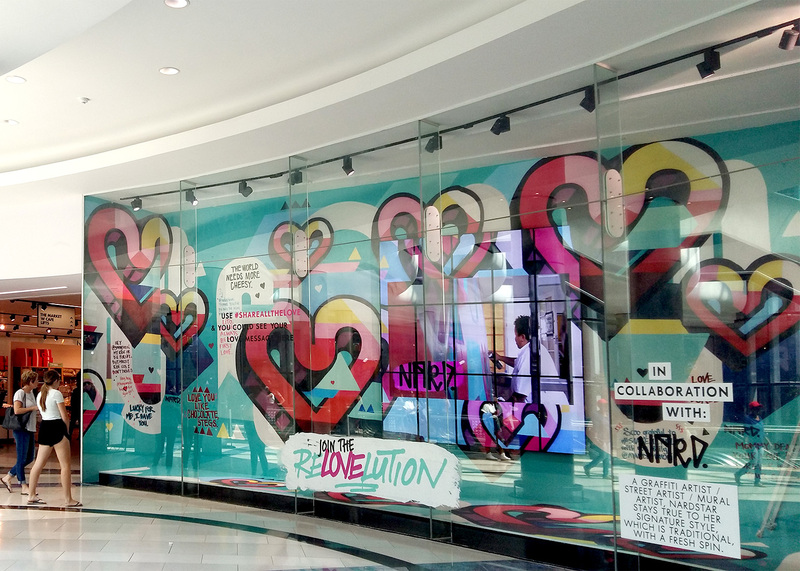 Nardstar* collaborated with retail legends Woolworths on their graffiti themed Valentine’s Day Campaign. 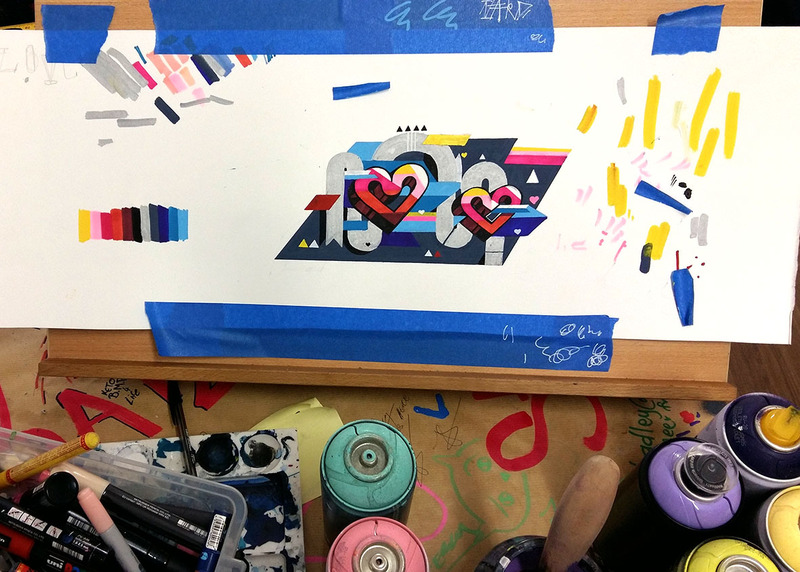 She produced an abstracted artwork with a graffiti letter style heart as the main subject matter. 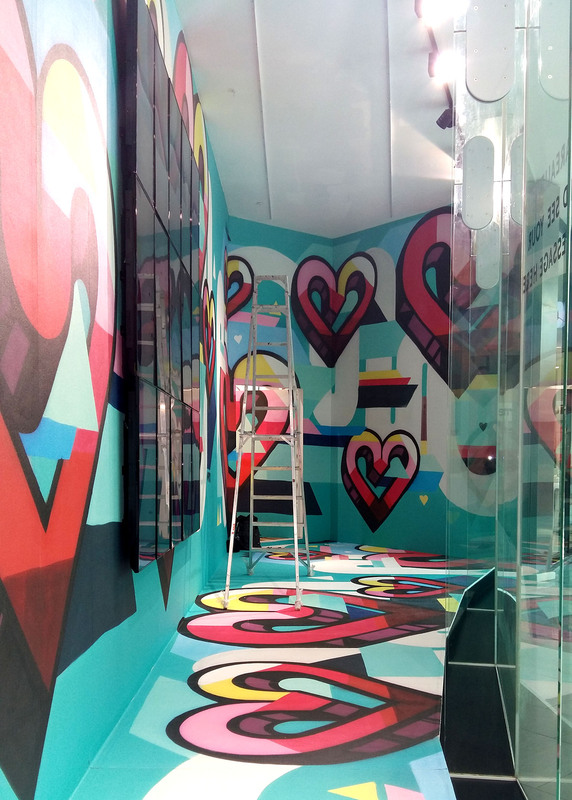 In the mural all the aesthetic principles that are at the heart of her graffiti style were incorporated; bold fills, outlines, 3D and background. 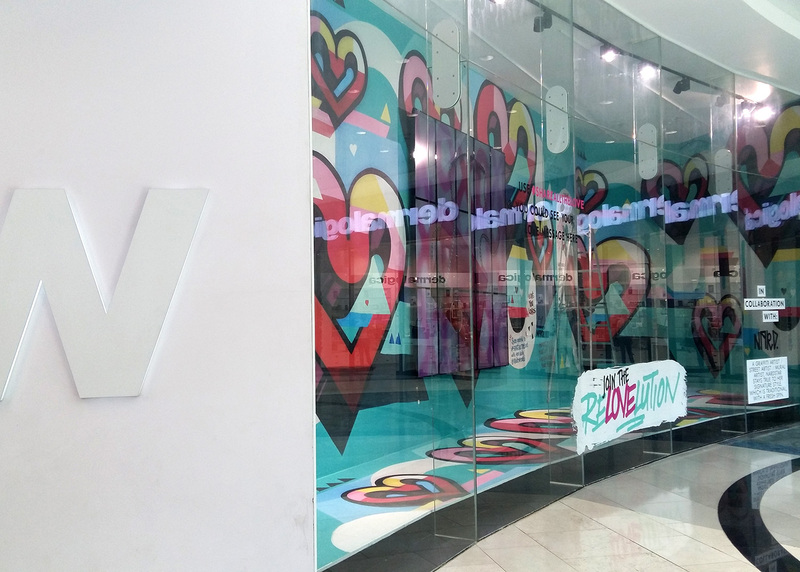 The mural was originally painted on a 6m x 3m canvas and was then photographed and printed out as wallpaper which was displayed in Woolworths store fronts at the V&A Waterfront (Cpt) and Mall of Africa (Jhb). Cape Town & Johannesburg, South Africa. 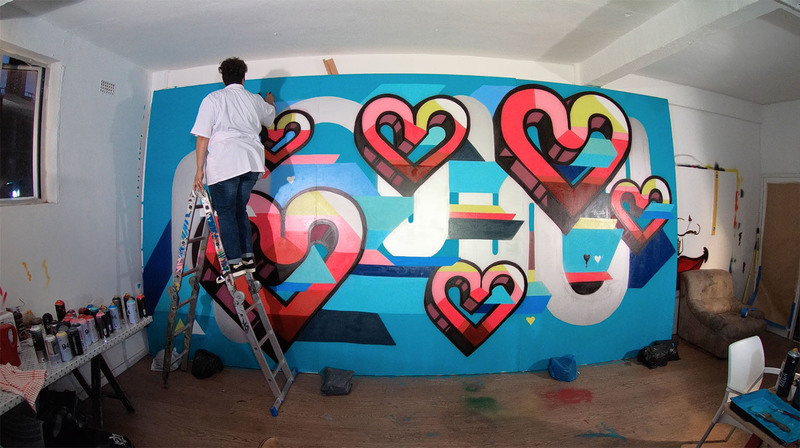 Graffiti, Mural, Spray Paint, Street Art, Commission.